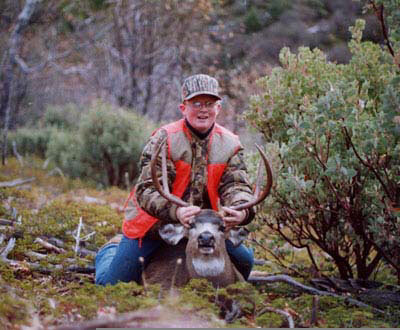 Thirteen-year-old Curtis Partch was one of only ten junior hunters to be drawn for the first ever J-15 Junior Hunt in Mariposa County, California in 2000. On November 26, 2000 at 7 a.m., Curtis took a kneeling position with his Winchester .243. One shot was all he needed to hit the buck at 200 yards. This was Curtis' first buck.